Your morning cup of coffee gives you the energy jolt you need to jumpstart your day. Others consume a few cups of coffee a day to carry them through an energy slump and help them stay on task while at work. Besides the energy boost, coffee also provides a number of health benefits. In fact, it is world’s biggest source of antioxidants. To enjoy all these benefits, you’ll need to drink it black. 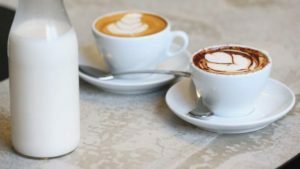 By throwing in teaspoons of refined sugar and heavy cream to your coffee, you are actually turning it into a sweetened drink. It is no secret that the sugar you’re putting in your coffee can have many negative health effects. Drinking coffee with tons of sugar is not only bad for your health, it also adds inches to your waistline. Although there is nothing wrong with consuming small amounts of sugar every now and then, you should try to cut back on sugar whenever possible. If you can’t stand coffee without sugar, consider using natural sweetener instead. In this blog post, we have listed down 6 healthy sugar substitutes for your morning coffee. 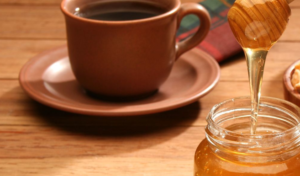 Use any of these natural sweeteners to make your coffee super healthy. Maple syrup is an unrefined product that is derived from the sap of maple trees. It is popular natural sweetener. For decades, it has been used as a key ingredient for cooking and baking due to its natural sweetness and incredibly rich flavor. 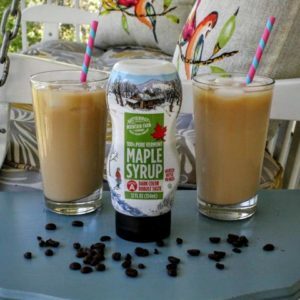 Sweetening coffee with maple is a growing trend. 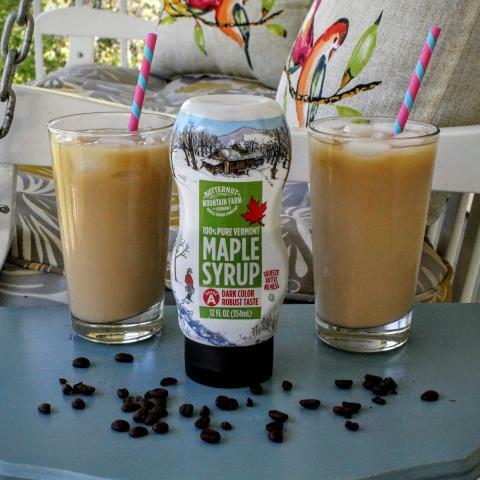 Adding maple syrup to your coffee will add that sweetness you’re after while adding a distinct maple flavor. 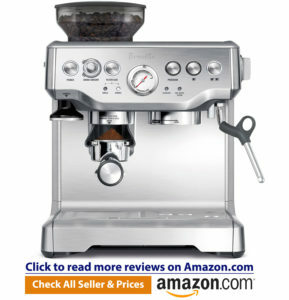 It can easily turn a simple cup of coffee into a sophisticated brew. It will supplement your morning coffee while also improving your health. Maple syrup’s nutritional value is superior as compared to other common sweeteners like sugar, corn syrup, and honey. It is loaded with phytochemicals, antioxidants and other key nutrients that are essential for healthy living. 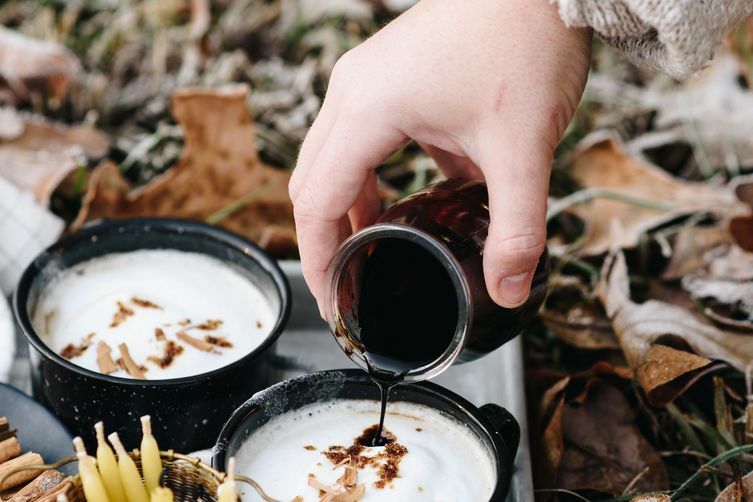 Despite its health benefits, it is important to note that maple syrup is still sugar. If you’re going to add it to your coffee or use it as an alternative sweetener in other recipes, make sure you do so in moderation. Consuming too much sugar, in any form, is not a good idea. 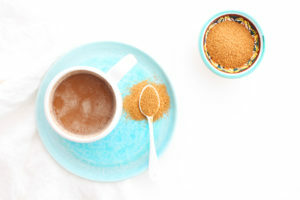 Coconut sugar is another great natural option to sweeten your coffee. It is a natural sweetener that is made from sap of the coconut palm. It is caramel colored, and its taste is similar to that of brown sugar. Coconut sugar has become very popular in recent years, and for good reasons. It is loaded with minerals, vitamins and antioxidants that refined sugar lacks. It also contains healthy fats that are known to prevent heart disease. Sugar is sugar. Excess sugar in your diet may lead to diabetes, insulin resistance, and obesity. If you choose to use coconut sugar as natural sweetener, use it in moderation. Molasses is a natural sweetener that is made from sugarcane juice. It is an excellent choice of natural sweetener if you are looking for a healthier alternative to nutritionally defunct refined sugar. Molasses is rich in calcium, potassium and iron. It also has a low glycemic index. If you sweeten your coffee and tea with honey, it won’t cause your blood sugar to spike. Molasses has a bold, deep flavor. It will not only sweeten your coffee, It may also alter the taste as well. It may take some getting used to. If you want to give it a try, we recommend that you add a little at a time. Just like other sweeteners, the use of molasses should be limited. Honey is one of the best sugar substitutes. Most people use honey because of its reputed health benefits. In fact, it helps promote healing of cuts and burns, fights bacteria, boosts immunity and energizes our body. Although honey has higher calorie content than that of refined sugar, it is also sweeter. That means you need less of it to sweeten your coffee; hence, consuming lesser calories. Half a teaspoon is enough to sweeten your coffee. Honey should not be heated. When exposed to heat, it will lose its nutritional value. So if you want to add honey to your coffee or tea, wait until it is tepid enough to sip before adding honey. You want to maintain as many of its nutrients as possible. If you prefer adding milk into your cup of joe, try using almond milk instead. Although almond milk doesn’t contain as much calcium as cow’s milk, it provides you with enough calcium and vitamin D to keep your bones and teeth healthy. As compared to regular milk, it has lesser calories. In fact, one cup of almond milk only contains 60 calories, as opposed to 122 calories in whole milk. Since it is low in carbohydrates, it barely impacts your blood sugar level. Agave is 1.5 times sweeter and has more calories as compared to table sugar. Some of you are probably wondering why it is considered as a healthy sweetener. This is because agave has a low glycemic index. Unlike white sugar, agave nectar is absorbed relatively slowly by our body. It does not lead to a big blood sugar spike. It can be used as a coffee sweetener for diabetics. If you’re looking for a healthier sweetening option that it free from additives, you may want to consider using agave nectar. It is a versatile sweetening agent that can be used to sweeten your coffee and may even be used to replace sugar to sweeten foods and other beverages. 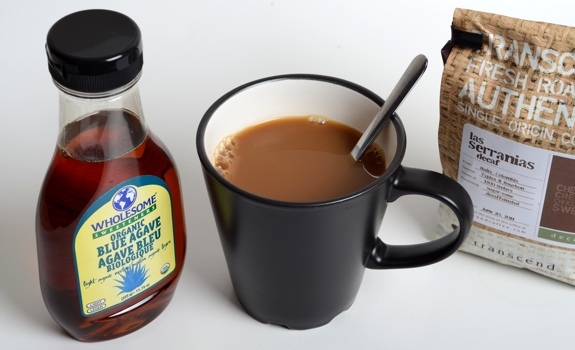 Although labeled as a natural sweetener, you should limit your use of agave nectar.